Every one hundred years, the forces of evil mysteriously start to weaken. Some of the evil creatures hide, others gather together to stand united. It doesn't help them much... Many are slaughtered... But now One, the most evil one, has found a way to break this curse, and to grow only stronger and stronger. One sensed the presence of a cure within the blood of a young woman and he pulled her into the darkness. All happened right in front of our hero's eyes... Filled with anger, he grabbed his mystical whip and followed One through the night. After a long search, our hero stands at the base of One's Castle. What evil awaits him there? Will he save the girl in time? It's up to you! Of all the games ever submitted to the MSXdev contests over the years, The Cure was probably the one that impressed me the most. Seriously, who wouldn't want to play this Castlevania clone on the good ol' ColecoVision? I tried contacting the guys of XL2S Entertainment on a couple of occasions these past few years, but didn't get any reply. 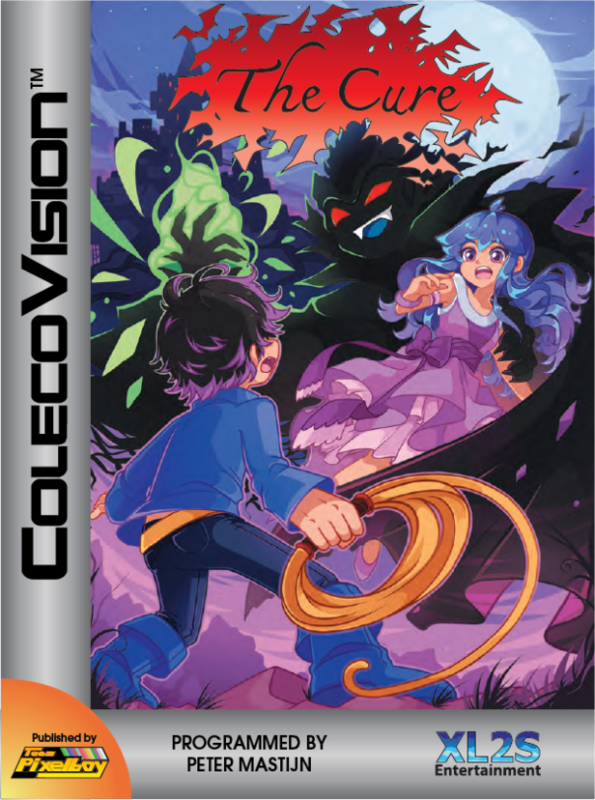 I really wanted to publish this game under my Team Pixelboy label, so after the good folks at AtariAge talked me out of starting a silly e-mail petition, I had a different idea: I contacted Eric Boez over at the Repro Factory MSX Shop and I asked him if he knew of another e-mail address via which I had a better chance of getting in touch with the XL2S people. Eric graciously gave me an alternate e-mail address to try, and in the middle of summer 2016, I finally received a reply from XL2S. And a positive reply it was! They ported The Cure to the ColecoVision themselves, and they even reworked the software so that it doesn't require the Super Game Module! The game is planned for release in the spring of 2019. 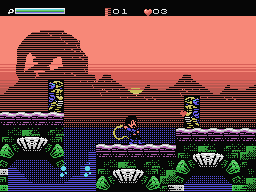 The MSX port of this game was done by XL2S Entertainment. Here is a YouTube video of the MSX version of The Cure. The ColecoVision version looks, sounds and plays the same as what you see below.